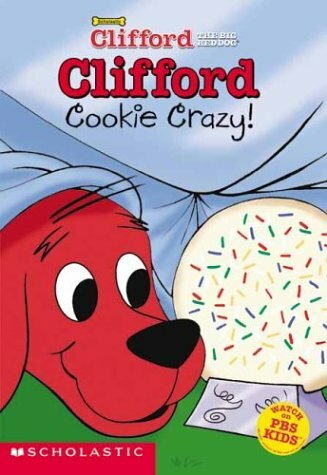 In ''Clifford: Cookie Crazy! '', Clifford goes to the Birdwell Island Fair and upon spotting a sugar cookie that is just his size, he develops a case of ''cookieitis'', to .the point of accidentally breaking it, then, with his friends, eating it entirely. However, when it is time for Mr. Bleakman to display his cookie, Clifford is forced to apologize. Similarly mentioned in an earlier review, what I most enjoyed about ''Clifford: Cookie Crazy', was that with the aid of clear graphics, a compelling In ''Clifford: Cookie Crazy! '', Clifford goes to the Birdwell Island Fair and upon spotting a sugar cookie that is just his size, he develops a case of ''cookieitis'', to .the point of accidentally breaking it, then, with his friends, eating it entirely. However, when it is time for Mr. Bleakman to display his cookie, Clifford is forced to apologize. This was a little different than other Clifford books as it is a chapter book. So will take a while to read to a toddler or a beginning reader. But other than that it is the same sweet Clifford and friends that we've grown to love.